It was definitely a wild start to the season with winds from the NNW in the 15-20 mph range with gusts into the 20s. 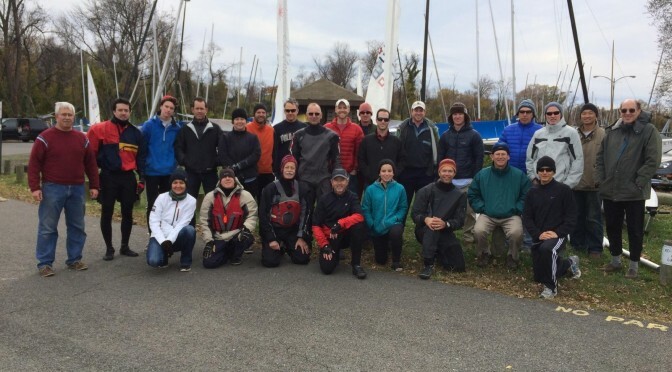 We got off three races on an olympic course with 16 sailors racing, dwindling to 10 last race finishers. Congrats to Young Guns, Adam and Jamie, who beat last year’s champion (me), Not-So-Young-Gun (Len) and everyone else! Many thanks to the race committee (Jim Klein and Richard Kaiser) for running the races and checking on struggling sailors!